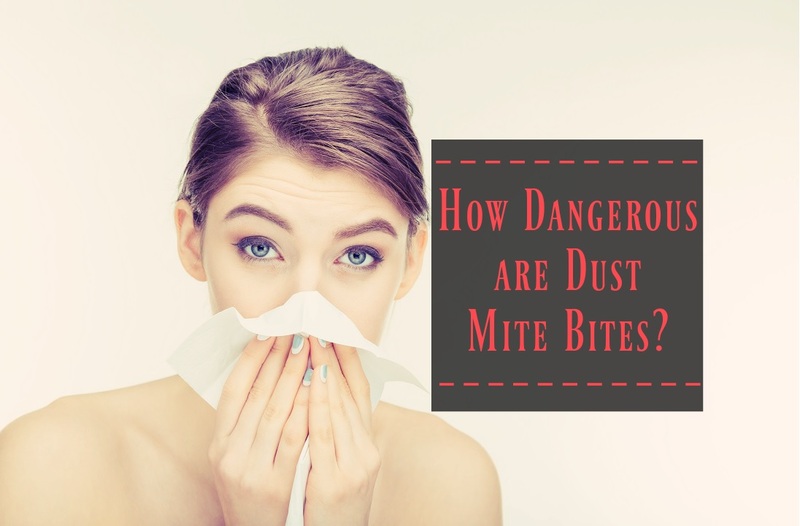 Home » Blog » How Dangerous are Dust Mite Bites? When to See a Doctor? While figuratively sickening, many people live alongside house dust mites and never feel the effects. While decreasing the amount of organic matter dust mites feed on helps to mitigate their numbers, it’s inevitable that almost every household has some degree of dust mite population. Their abundance and prevalence combined with the human susceptibility to getting sick from them make dust mite allergies a complex issue that every household should pay careful mind to understand. What Is A House Dust Mite? Dust mites are microscopic arthropods less than a third of a millimeter long. They aren’t visible to the human eye without a microscope. Just have no doubt that they’re there. Under 10x magnification, the body is seen as translucent with eight hairy legs, a hard shell, no eyes, and no antennae. Hundreds of thousands of dust mites can live in the fabrics of carpets and rugs, sofas, shower drapes, chairs, beds, and pillows. Unlike bed bugs, dust mites are not parasites. They do not lay in wait to bite victims and feed directly off of them. Dust mites instead feed on organic matter found in dust. Dust Mites Eat … Dust?!? Dust can be composed of hundreds of different particles from fungi and pollen to cigarette ash and microscopic particles from food crumbs. As it concerns dust mites, they eat the organic particles that make up dust. 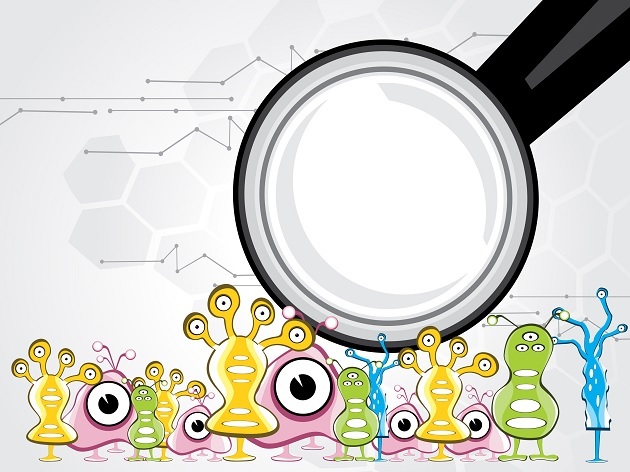 This means that cleanliness, while important, isn’t necessarily the major contributor to a dust mite infestation. Within a month, the human body completely sheds and replaces its entire outer layer of skin. These dead skin cells are a major component of household dust. Pets also create organic dust material through pet dander. Then, there’s the vicious cycle of the dust mite itself. The population’s feces, dead bodies, and lost body parts all go into the organic dust pile that feeds the population and, in of itself, is an allergen. That’s a lot of dust mite food!! Clearly, daily cleaning and de-dusting efforts cut down on organic dust, but it’s impossible to remove it all. In fact, studies have shown that vacuuming, for example, only removes about 5% of dust mites and dust mite residue. House dust mites do not need to drink any fluids. Instead, they depend on humidity for their water needs. In fact, humidity levels greatly determine whether a setting might have a significant dust mite population. The tiny mite absorbs moisture from the atmosphere and simply can’t survive in desert-like environments that do not have the necessary humidity levels. Dust mites excel in 68-77°F temps and 70-80% humidity. Of indoor allergens, according to Environmental Health Perspectives, dust mites are one of the most common triggers for people with allergies and asthma. The American College of Allergy, Asthma, and Immunology says dust mites are the most common cause of allergy from dust and is a common cause of childhood asthma. 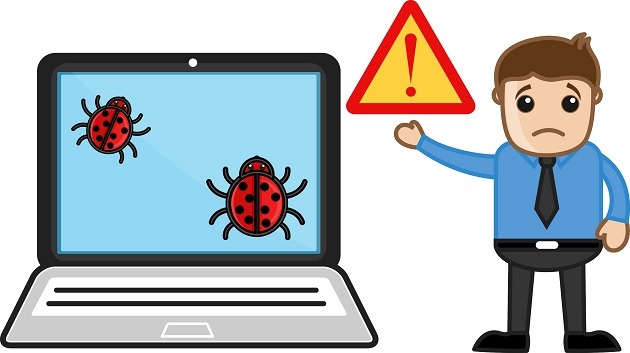 Again, the human health problem with house dust mites isn’t from a bite, scratch, sting, or otherwise direct physical harm to you. And, they don’t carry diseases. It’s an allergy issue to the dust mite, decaying carcasses, and body parts, and feces they excrete that causes skin reactions, such as eczema, and upper respiratory problems, such as asthma and allergic sinusitis. Our immune system is designed to produce antibodies in response to any unwanted invaders that could make you sick, such as germs and viruses. An allergy occurs from the immune system identifying a benign foreign substance as something actually harmful. This causes an inflammatory response in the nasal passages, throat, and/or lungs. High sensitivity; prolonged exposure; or existing respiratory issues, such as asthma, can create chronic inflammation that causes sinusitis, asthma attacks, and even lung damage. Prolonged exposure to high levels of dust mites, a family history of allergies, being very young or elderly, and suffering an existing respiratory illness all make a person more prone to developing the allergy. Seasonal allergies and common colds are often confused with dust mite allergies. It’s advised to see a doctor if the symptoms persist longer than a week or symptoms worsen in specific environments or times. Keep in mind that nighttime may produce the greatest allergen response since beds provide a perfect environment and uninterrupted opportunity to breathe in dust particles. While waiting to see a doctor, keep a journal of the symptoms being experienced, when they started, and any changes to them throughout the day. If unknown, ask family members about their history with allergies. Also take a list of all medications, vitamins, and supplements you take with you to the appointment as some of these may interfere with the diagnosis process. Primary care physicians are a good place to start, but they may often recommend an allergist for further testing if he/she feels the causative factor is dust mite allergies. Several diagnostic tests may be utilized by the allergist. A skin-prick test is the most efficient and commonly used test. The allergist will prick the skin with a minuscule amount of the suspected allergen and wait to see if there’s a reaction within 15 to 20 minutes. Positive reactions usually resemble a red, itchy, raised bump. A blood test, called Specific IgE (sIgE), may be used instead of the skin-prick, which simply involves collecting a blood sample and the lab adding the allergen to the sample to look for a positive result. Researchers at the University of Iowa are working on a vaccine for dust mite allergies. It’s been developed and tested on animals, but isn’t yet in the manufacturing phase for human use. It works by switching the body’s immune response off to dust mites, and trials showed that it lowered lung inflammation in dust mite allergy sufferers by 83%. Antihistamines like Allegra or Claritin. Corticosteroid nasal sprays, such as Nasonex or Flonase. Decongestants like Afrin or Sudafed. Claritin-D or a similar product that combines antihistamines with decongestants. Leukotriene modifiers like Zyflo or Singulair. Allergy shots that provide immunotherapy. While dust mites can’t be eliminated in the home, they can be controlled and reduced to prevent and lessen allergic reactions. Cover mattresses and pillows with allergen-proof zippered coverings. Wash linens in hot water (130 degrees or more) and hot dry temps at least once a week. Use synthetic fiber blankets and pillows vs down and feather. With children, wash fabric toys in hot water weekly. Reduce the amount of fabric within the home – leather vs upholstered sofas and chairs, hard flooring vs carpets and rugs, blinds vs drapes, plastic vs fabric shower curtain, table coverings, etc. Clean any upholstered items regularly with a steam cleaner. Keep the relative humidity inside the home 30% to 50%. Keep the HVAC thermostat under 70 degrees. Use HEPA filters on HVAC units and vacuums. Change them at least every three months… sooner if heavily soiled. Consider purchasing an air purifier from a reliable retailer. Vacuum regularly and thoIt may be necessaryroughly; if dust mite allergy is known, then wear a mask while vacuuming and cleaning. Reduce clutter that collects dust. Use a damp cloth to dust with vs a dry cloth or duster; wear a mask during dusting. Dry dusting collects very little dust. Instead, it simply stirs it up into the air for it to resettle. If highly sensitive to dust mites, consider a professional cleaning service to avoid exposure during cleaning and ensure frequent deep cleaning. Spot clean the home daily, with deep cleans at least once a week. Sweep gently or use a fabric-based broom, like a Swiffer, that traps dust and dirt and can immediately be discarded. Consider a professional dust mite cleaning service that uses UV light and steam to destroy dust mites. Of course, they come back as dust accumulates and the service will need to be routinely employed to be effective long-term. Keep in mind that dust mites aren’t just in your home. They could be at your job environment. While it’s likely impossible to control the cleaning habits and services of your employer’s building, you can ensure that your work station isn’t cluttered and routinely wiped down with a damp cloth. Vehicles are another source of dust mites because they have a lot of upholstery for the dust to collect. Frequently vacuum and wipe down hard surfaces with an oiled or damp cloth. It may be necessary to avoid indoor pets altogether, but, at a minimum, pets should be bathed and groomed regularly to reduce dander. Also wash any pet bedding once a week in hot water. Bathe yourself regularly and use an exfoliant to remove dead skin cells in the shower or bath; keep skin moisturized. In closing, there’s often a negative connotation around dust allergies, as if the household is unclean or untidy. Every human alive sheds skin. Every household has dust. And, most every home will have dust mites. Some people are just more sensitive and more allergic than others. Recognize the symptoms of dust mites and how big the population may be and/or how sensitive the household members are to them. Remember that dust mite is a common allergen and may lead to future respiratory issues, such as asthma, or worsen existing respiratory conditions. This is especially true for young children and elderly household members. Keep symptoms at bay by reducing your home’s environmental friendliness to dust mites. See an allergy specialist if symptoms persist or worsen so that an allergy test may be done and a treatment plan may be implemented as soon as possible.